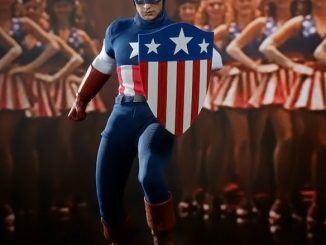 The first Avenger is ready to do battle in a new outfit once again with the Captain America ‘Age of Ultron’ Sixth-Scale Figure. 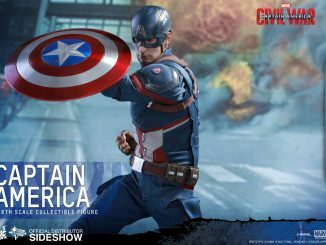 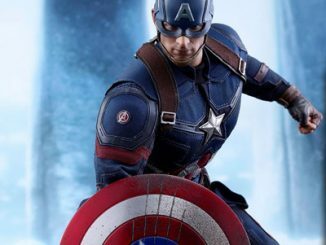 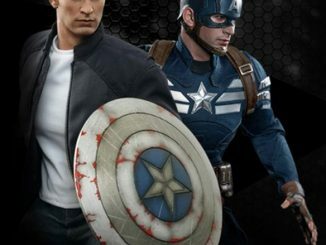 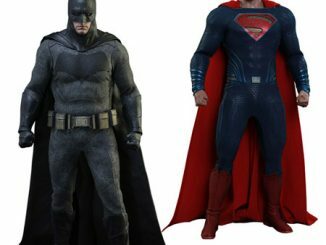 You’ve seen the Captain America ‘First Avenger’ Sixth-Scale Figure and the Captain America/Steve Rogers Sixth-Scale Figure Set. 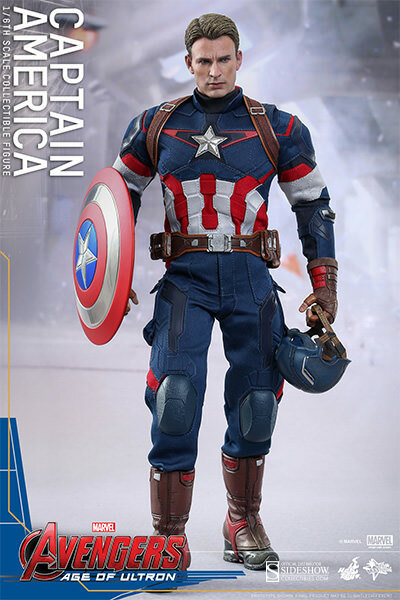 Now get a load of Cap suited-up to take on the evil Ultron. 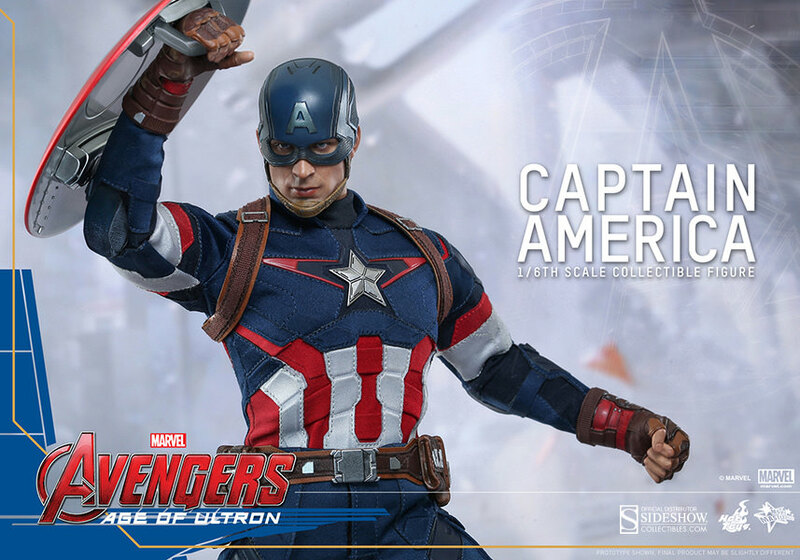 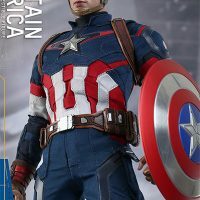 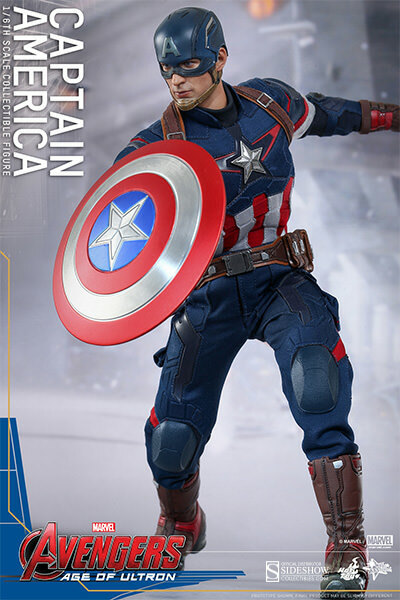 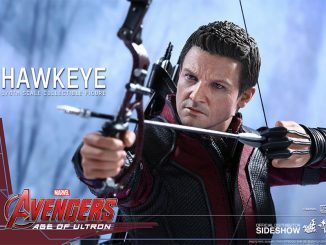 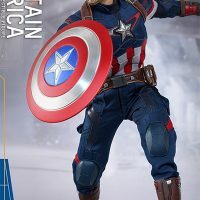 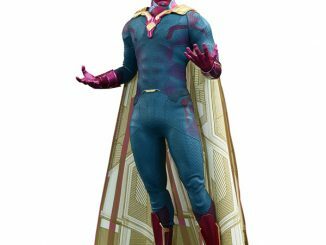 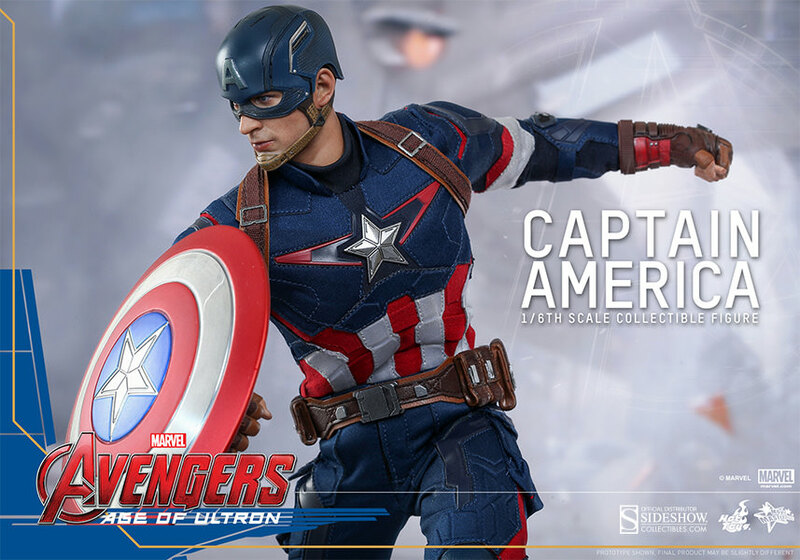 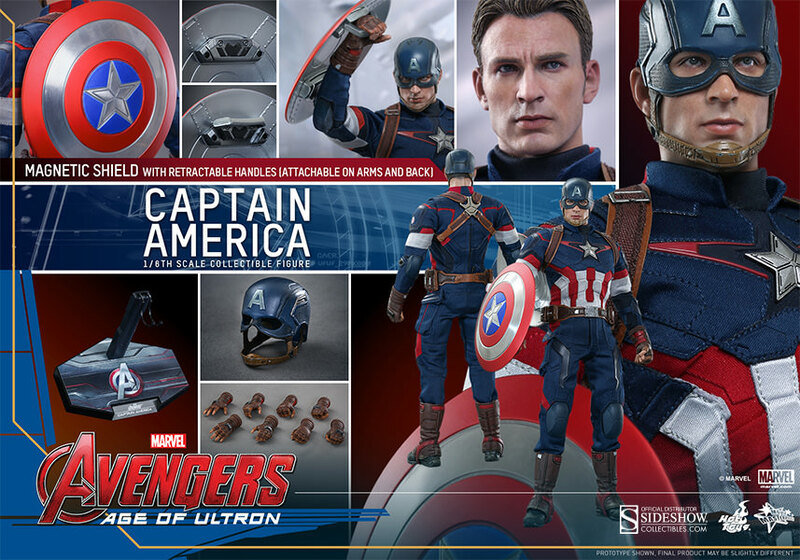 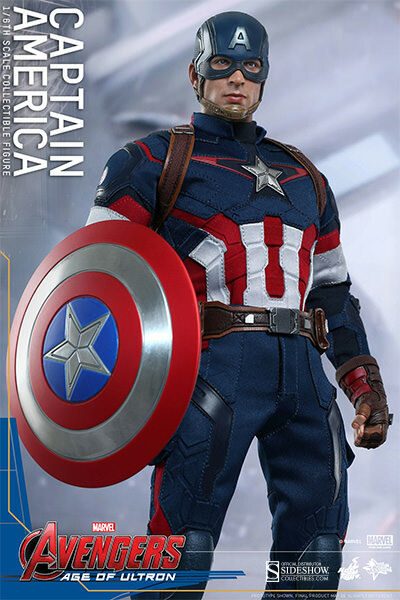 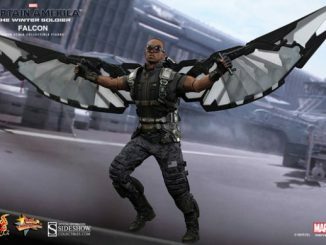 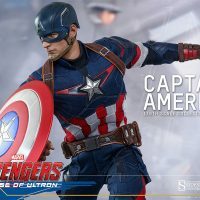 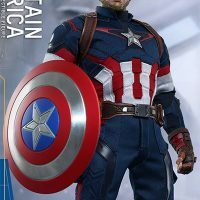 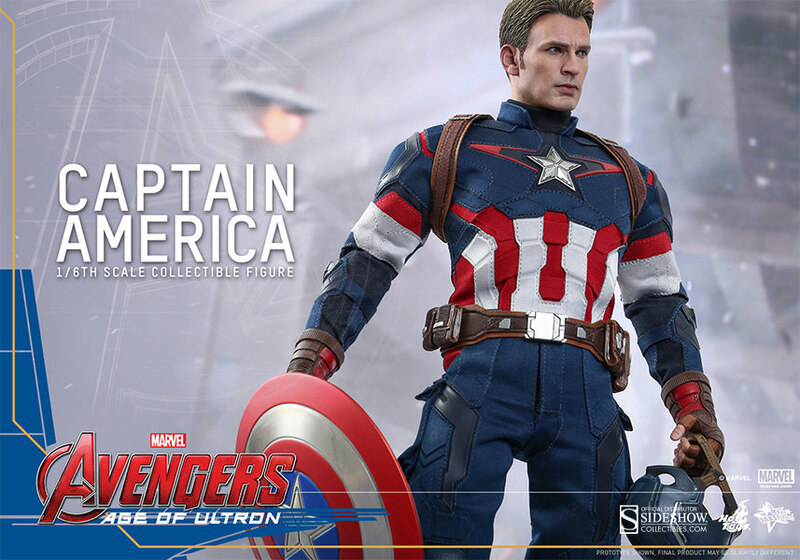 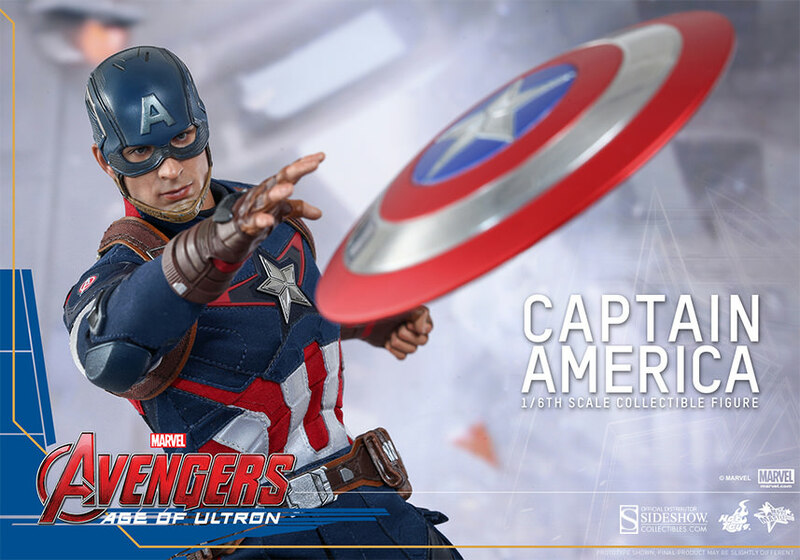 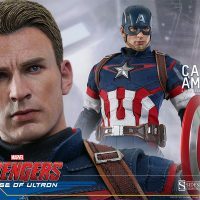 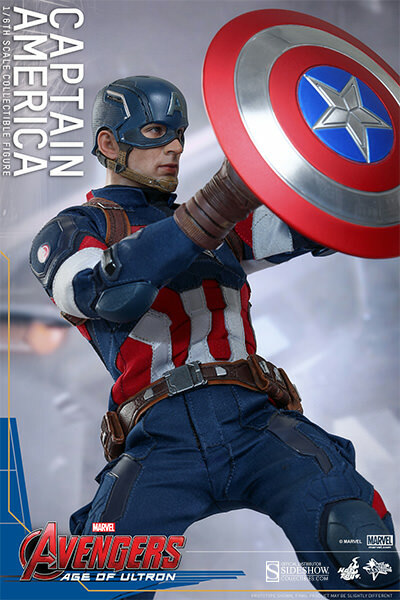 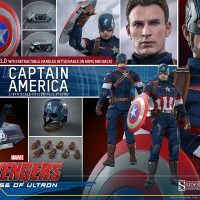 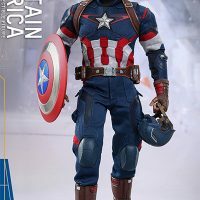 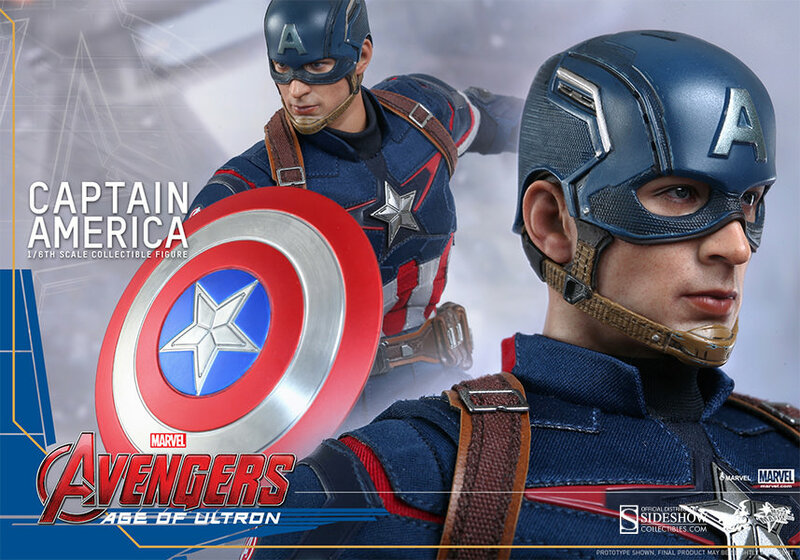 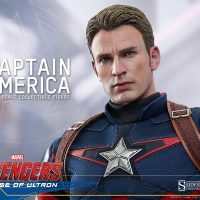 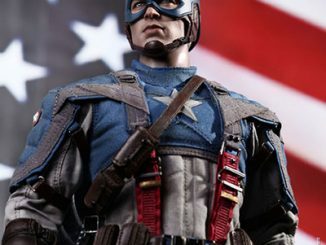 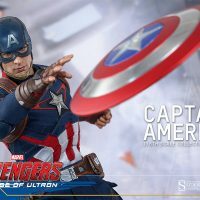 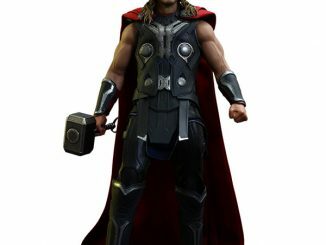 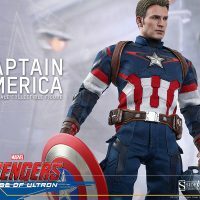 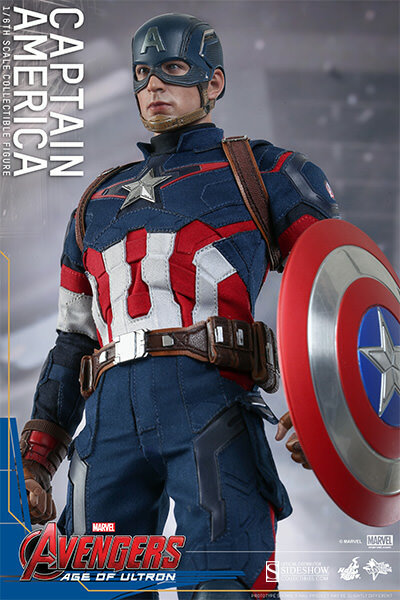 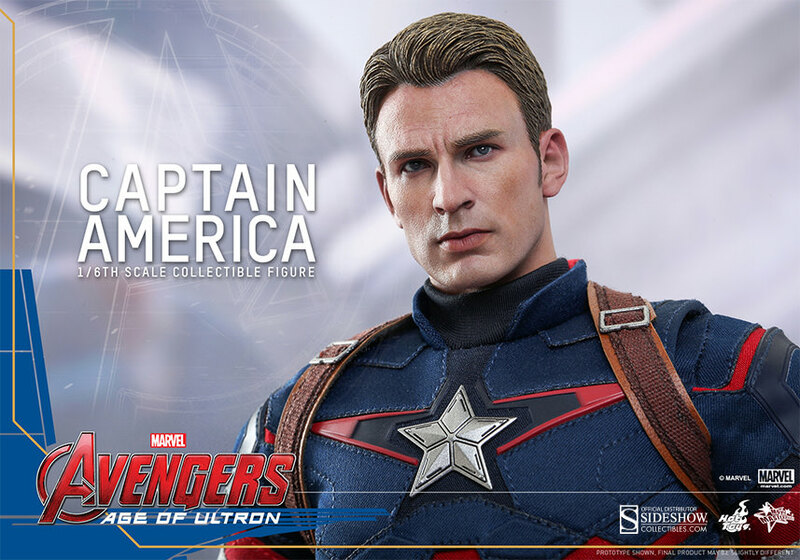 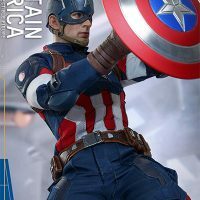 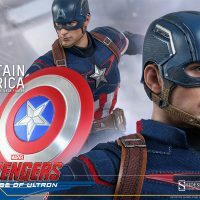 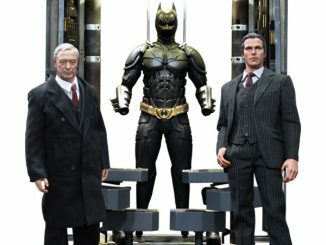 In addition to newly-painted sculpts for both the helmeted head and the Steve Rogers head, the figure also features a new patriotic suit, a magnetic metal shield with retractable handles, and a specially-designed figure stand. 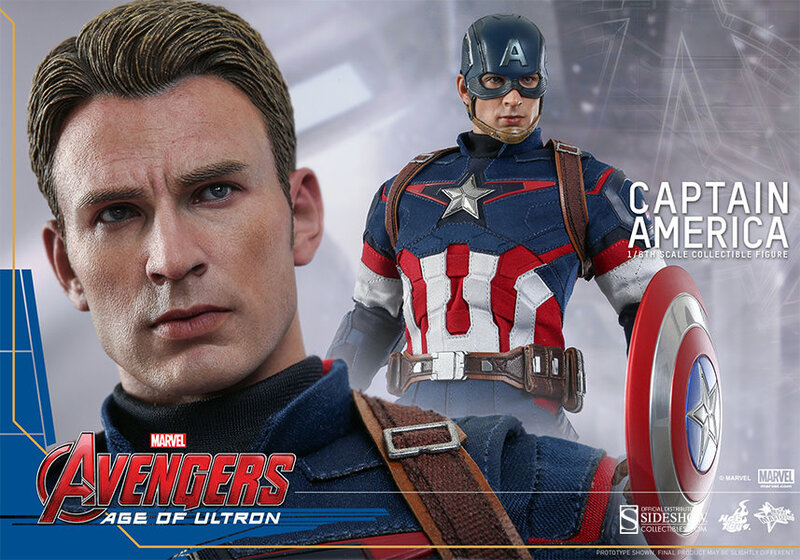 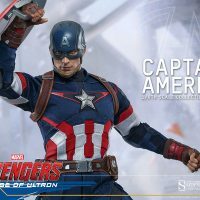 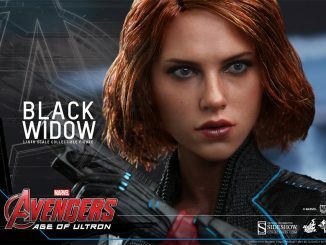 The Captain America ‘Age of Ultron’ Sixth-Scale Figure will be available September – November 2015 but it can be pre-ordered now for $224.99 at Sideshow Collectibles.